Will Madame be having pigs or snails? 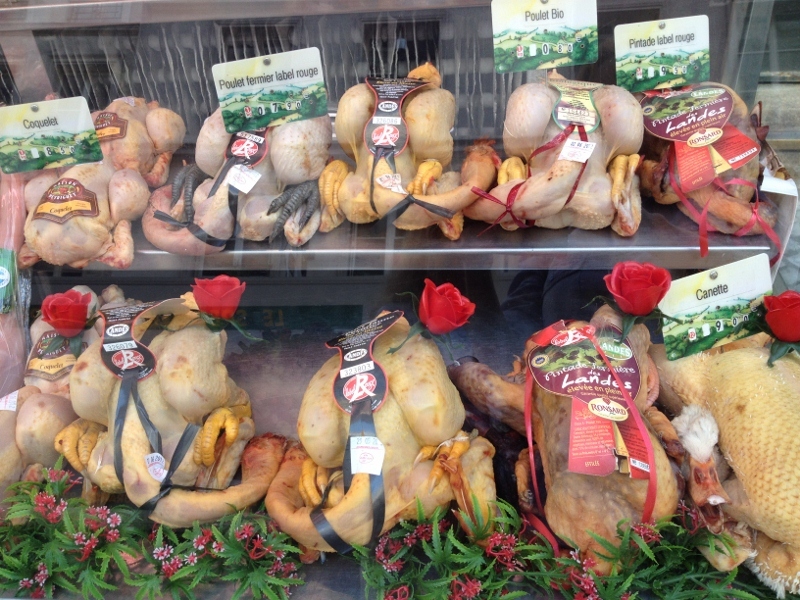 Well, I’ve been home now for five weeks but my thoughts regularly return to France, re-living some of the best food moments … and among the highlights of the trip was a stroll down Rue Montorgueil, one of the better permanent street markets in Paris. 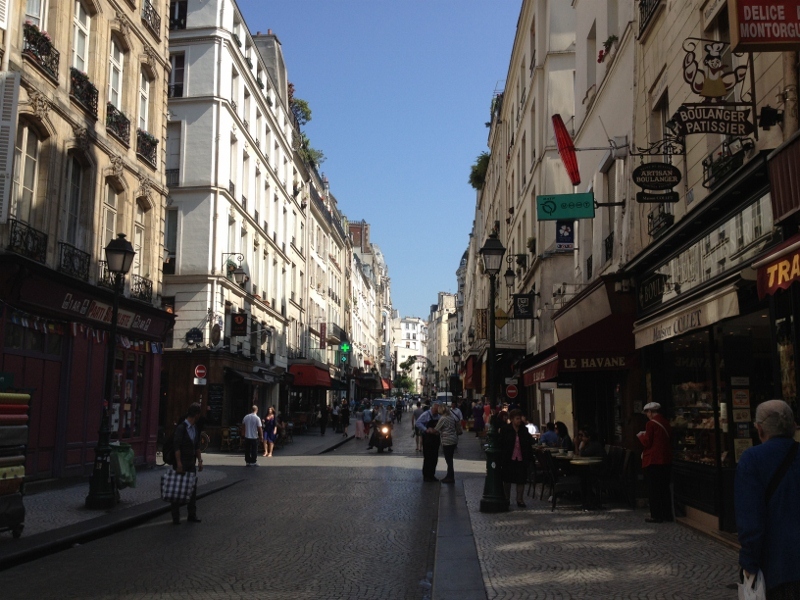 Located in the Les Halles area few streets away from metro Sentier it is lined with famous restaurants, cafés, bakeries, and fish, cheese, flower and wine shops. 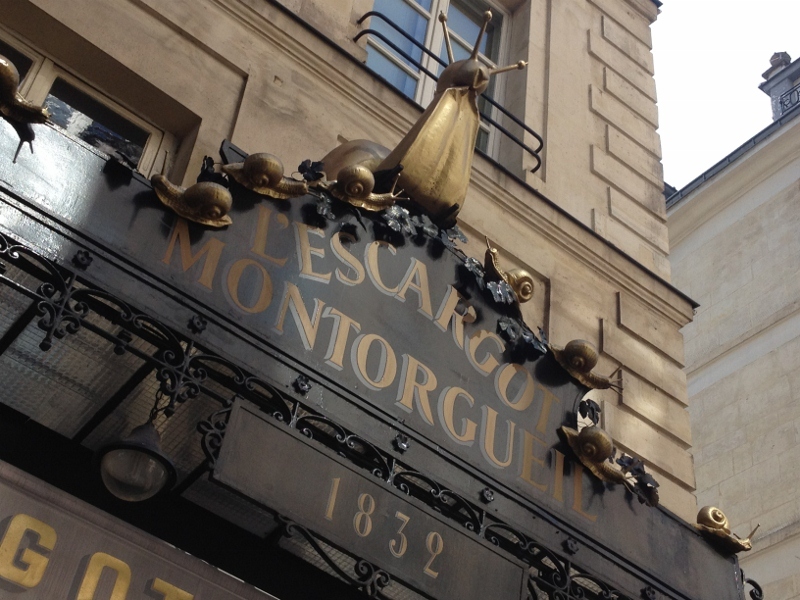 There you will find … L’Escargot established 1875, but sadly closed the day we were there. It appears that the government has enforced a four-month closure due to cocaine-dealing on the premises. It’s worth a look just for the beautiful gold snails climbing its façade. 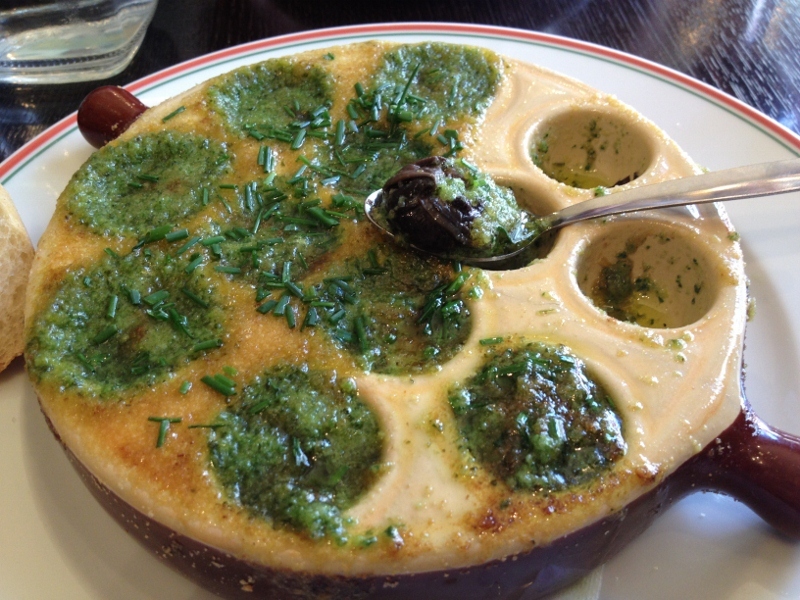 And the snails do look unusually perky … so perhaps there is some truth to the rumour !! For a sweet treat visit La Maison Stohrer. 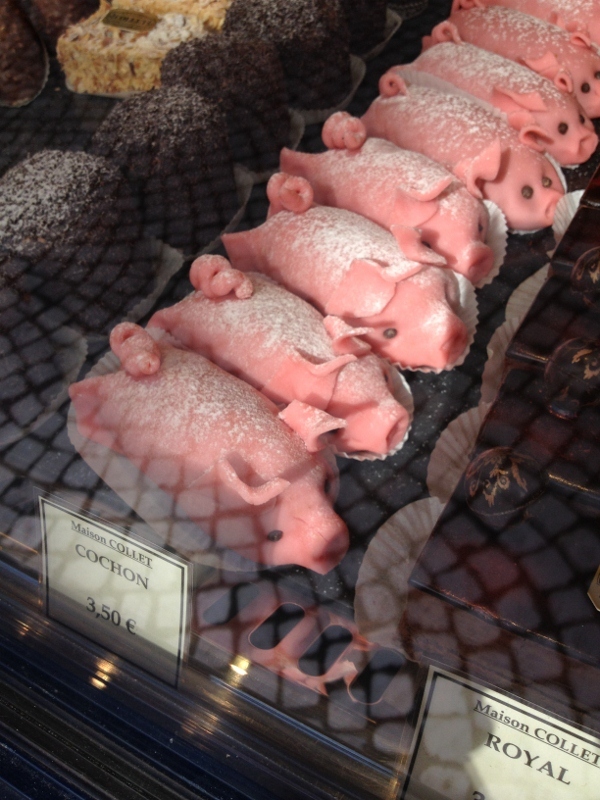 This famous bakery opened its doors in 1730 and is one of the oldest bakeries in Paris. 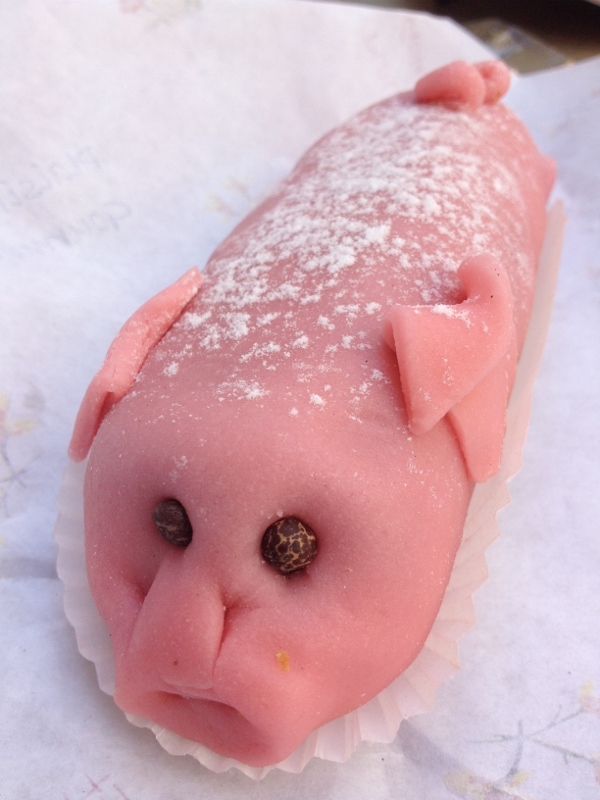 Or you could try one of Maison Collet’s pink marzipan pigs, filled with a rich chocolate and fruit mixture. At the southern end is the famed Eglise Sainte-Eustache, one of Paris’ most beautiful religious monuments built between 1532 and 1632. 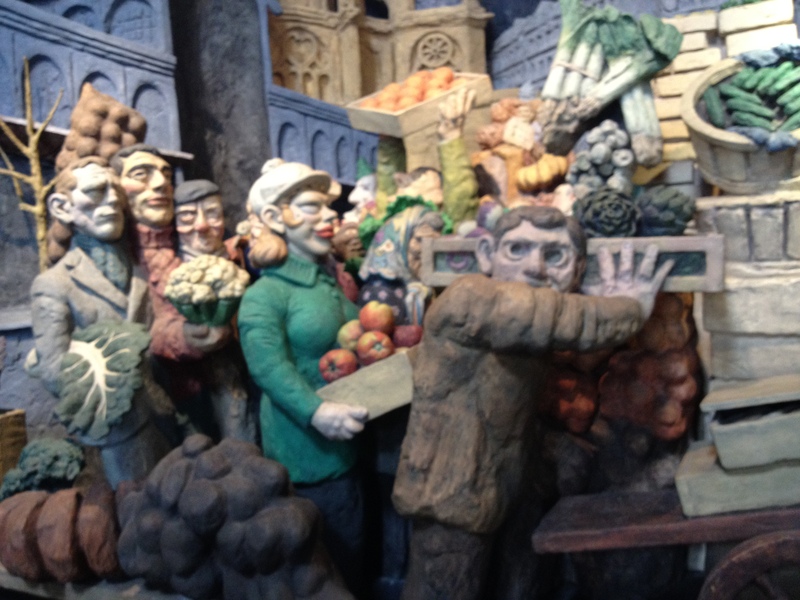 In Chapelle St-Joseph there is a naïve relief showing a procession of market traders, resembling a funeral cortège, leaving the Les Halles food markets for the last time before it relocated to the outskirts of Paris. 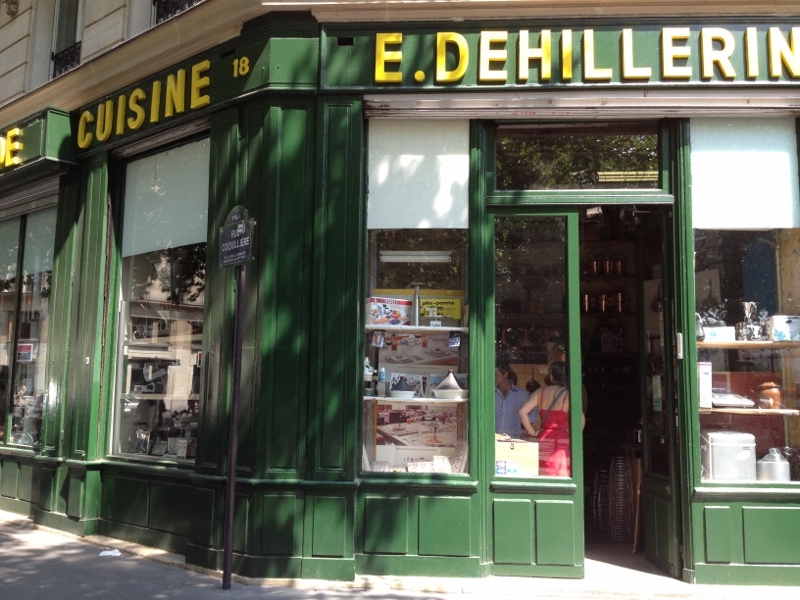 Nearby in rue Coquillière is E. Dehillerin the famous cookware shop where I bought an authentic tarte tatin dish (hard to obtain in Australia). I have already cooked my first tart and it was a complete success, with one guest pronouncing that it was “the best dessert she had ever tasted”. 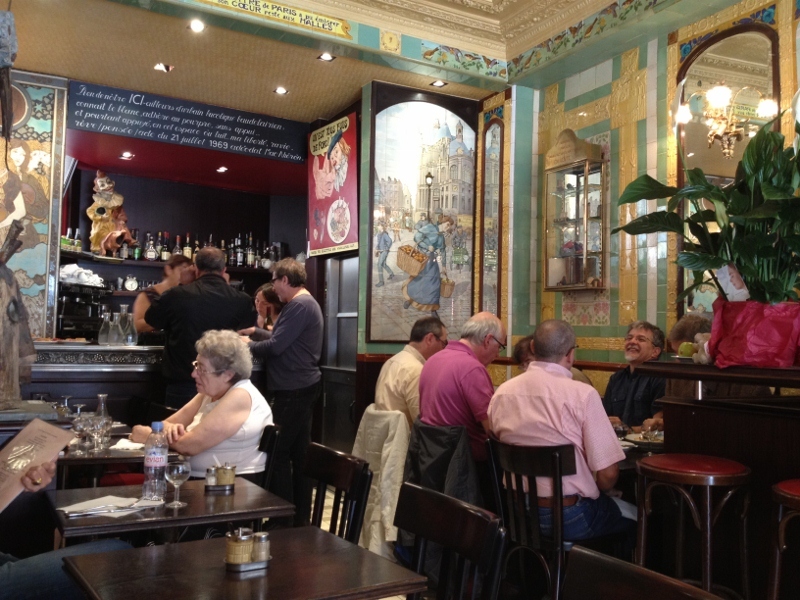 And finally we lunched at Le Cochon à l’Oreille, an historic bistro on rue Montmartre where friendly Mesdames served us with garlic and parsley snails and onion soup. Whilst we sipped our wine we admired the colourful period ceramic tiles and its original 1919 façade now classified as a historic monument. Très atmosphérique.